Once again, we begin to look back at 2018 and try to determine what trends will help shape another year. Inevitably 2019 will consist of both challenges and opportunities in equal measure. But, how will future trends affect the creative industry and the media they use to promote their content? According to the Storyblocks 2019 Creative Trends Guide that analyzed 85 million searches, we can expect the diversity theme to continue into 2019 for all the right reasons. From “fake news” to the lack of diversity in the media, the creative community is hungry for more authenticity and inclusivity. An analysis of Storyblocks data indicates that creatives may be taking matters into their own hands by developing independent media sources—forcing mainstream media to follow suit or fall by the wayside. Media trends in film and social media indicate that creatives are using more content that accurately depicts the people around us and the world we live in. As digital media makes the world a smaller place, our creative community is searching for video, audio, and images representative of cultures from varying communities around the world. Creatives are also increasingly searching for templates and audio to aid them in reporting on the news on their own terms. Podcast and YouTube personalities source their templates and audio so they can focus more on reporting the facts. Editing programs like After Effects and Apple Motion come with steep learning curves, but the curves are diminished by customizable templates. 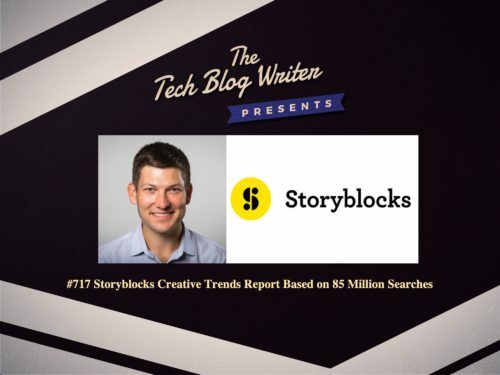 Storyblocks has also seen an increase in the number of searches for various templates that help creators save time and meet the demand for more video content.